I have experienced iPhone theft twice. The first time was with iOS 6 and we recovered it within 24 hours with police assistance. The second time on iOS 7, not so lucky. This is life. My hope in revealing this experience is that our loss will be your gain and maybe you'll have a better outcome. Update: I published this piece in April when our second iPhone had been stolen by a student in a classroom several months prior. I am happy to report that I have successfully recovered the stolen iPhone! I did keep pinging it by using Lost Mode to send a message to the screen, and finally someone decided to text me and tell me they "found" it. Long story short, the iPhone was allegedly "purchased from a friend" and the person's girlfriend tried to restore it and discovered the message. We had to "pay off" this individual for a small sum of money, but we got the phone back and no data was lost or compromised. We had changed passwords just to be safe. I will write more about this story in another post because I learned a lot more about the recovery process, but I want to do some more penetration testing to document it properly. This will involve temporarily sacrificing one of the kid's iPhones then restoring it. Hey, drills are important though, right? It appears as though enabling Lost Mode removed the data from the phone, because when we got it back, it had been wiped with just my Lost Mode message on the screen. Did it get wiped when someone attempted to restore it using iTunes? It had been locked the whole time, so we're pretty sure data stayed safe as it passed between several middle-schoolers, but I still want to play hacker and see. Stay tuned! I really, really wish Apple would require a passcode or fingerprint ID in order to disable connectivity from Control Center so that a thief can not do it by enabling Airplane Mode and/or disabling Wi-Fi, but sadly, that is not the case and it does not bode well for us. When you suspect your iPhone has been stolen, you should immediately report the theft to police so you can be issued a police report number. Once you have that number, if you can track the phone to get a location on a map, you can call 911 (they told me it's ok) and a police officer will meet you at the location to offer assistance. They will ask you on the phone how accurate the GPS signal is and you can tell them within 10 feet of the suspect. You will need to tell them cross streets or landmarks. I found it helpful to take screen shots (command-shift-4) and note the location on the iCloud map then plug that information into Google Maps because from there, you can look up "what's here" and get local landmarks or businesses. We were able to meet the police officer at a nearby 7/11 to retrieve our phone. After this first incident, I realized how handy it was to have our family photo or something with a picture of the phone's owner on the lock screen because this way, the police officer took one look at us, knew the phone belonged to us and handed it over with no additional paperwork. While you'd think it's just as easy for a thief to power the phone off, where's the fun in that? Maybe they want an extra flashlight, timer or calculator in their pocket or they want to take selfies with the camera in case you do get your phone back so you can see all the fun you missed while your phone was away. All of those features are still available from iOS 7's Control Center while the phone is locked and offline so their friends will think they're cool. I think Apple should also make it so that the phone can not be powered off while in Lock Mode. Again, this is not currently the case, but I hope that changes in a future update! Punks, thugs and middle-schoolers steal iPhones for the thrill of it. It's like a bug to a cat. First they pluck its legs off so it can't go anywhere and then they just bat at it to torture it. All it takes is a quick swipe up from the bottom, a tap on the airplane icon and now you can probably get away with wiping it and restoring it if the owner wasn't smart enough to enable Find My iPhone. By the time you realize it's been stolen, it may be too late. 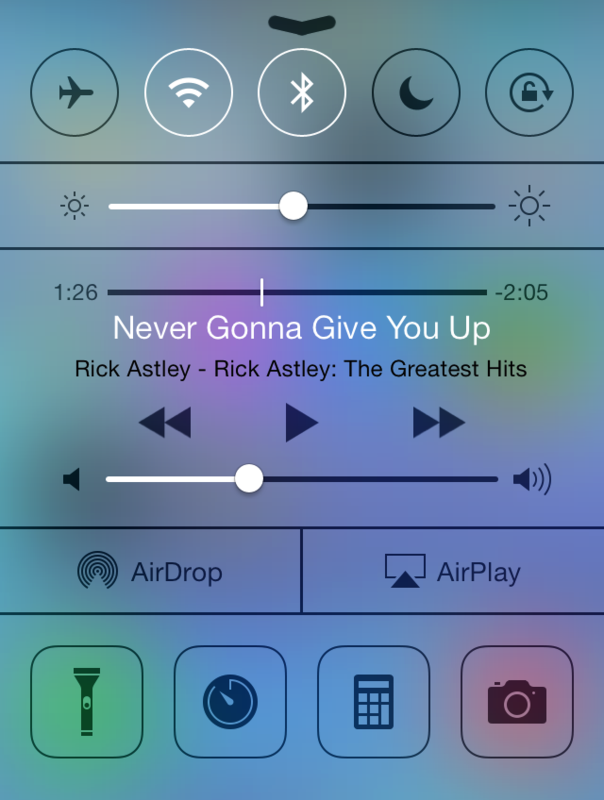 I think you should have a choice of what shows up in Control Center. I am not a frequent flyer and I'm fine with unlocking the phone and going to Settings to enable Airplane Mode. I mean, how hard is it? I get that it's a convenience and encourages more people on planes to disable connectivity easily, but leaving it available to disarm the wonderful security features of Find My iPhone? Is the convenience really worth the security risk? I'd like to see the ability to customize that area or disable the connectivity icons for Airplane and Wi-Fi altogether. Of course, having Bluetooth there has come in very handy for me, so I'd like to see that stay. 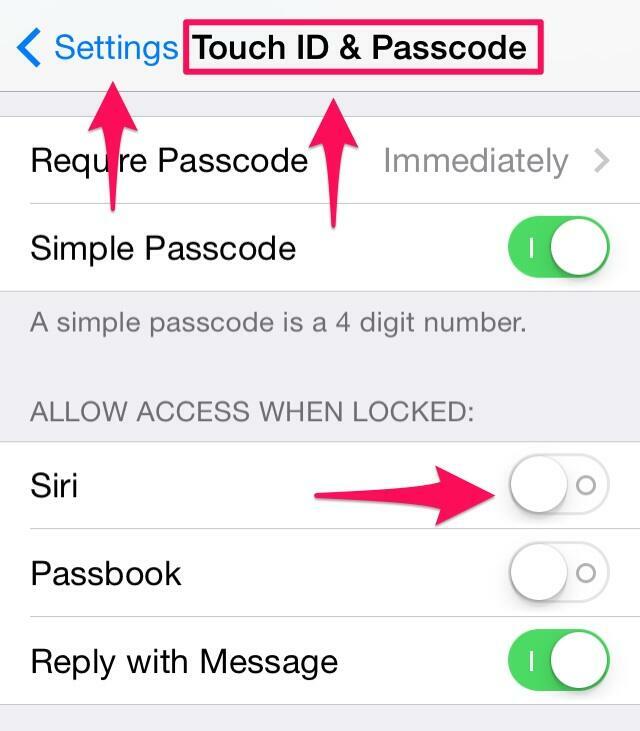 I just think that disabling settings which compromise security should be passcode or fingerprint Touch ID protected. Make it a choice and I'll choose it. If you swipe down from the top, you get the handy, dandy Notification Center. Check it out for yourself. What kinds of revealing information would your iPhone's thief be able to mine from the lock screen before it goes into Lock Mode? Saucy text messages? Your next appointments? Just something to keep in mind if you and your device become separated. 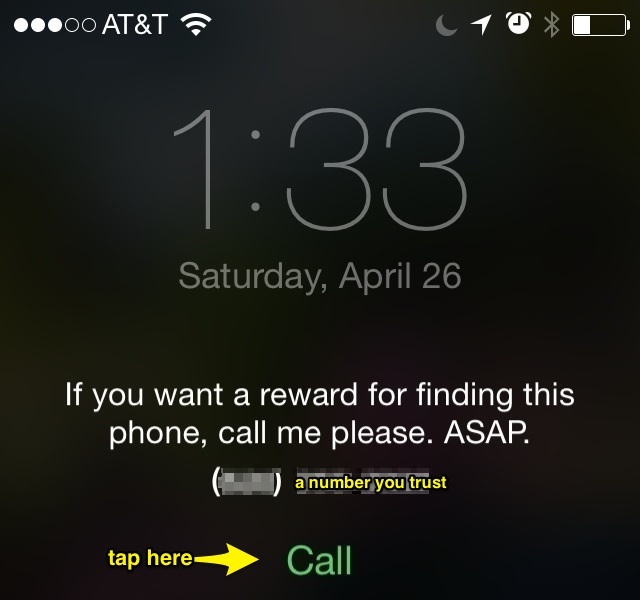 I've heard people say they don't care much about their phone if it goes missing — it's just a thing, right? Ok, but this thing has a lot of bells and whistles turned on by default for your convenience and I'm here to tell you to take a closer look at this thing. 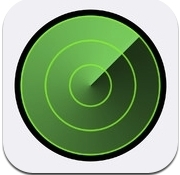 Even though lack of connectivity creates a pressing problem, it's still incredibly important to set up Find My iPhone because of Activation Lock — available only in iOS 7. While your iPhone is offline, you will not be able to track it, but at least you'll know your data is safe. You can access this app by logging in on another trusted iPhone, iPad or iPod touch that has it installed or any computer where you can log in to www.icloud.com and click the Find My iPhone web app. I've even had a trusting family member on the other side of the country ask me to log in on their behalf to track their device when they had no other alternative at the time. The commands you issue will show as pending and if your lost or stolen iPhone ever resumes connectivity, it will receive the command and complete the action such as enabling Lost Mode or sounding a audible signal. Of course for ultimate, added protection, I encourage everyone to use a password manager and never store their passwords in the browser (Safari). I've said it before and I'll say it again, 1Password is good for this plus it even has a built-in browser. "Siri, where do I live?" If the thief gets a guilty conscience, they can always drive to your home in the middle of the night and put your phone in your mailbox, right? Um. Yeah. "Siri, where is my spouse/husband/wife/child/_____?" Now the thief knows both where you live AND that you may be home alone and for kicks, they can go stalk your spouse/child/other in the parking lot. at night. "Siri, who is my spouse/husband/wife/child/_____?" Now the thief has the contact information for that individual if you've made the connections in your Contacts under Related Names. Of course it's not too hard once they figure out your name to start poking around in your Contacts using Siri to rat you out. Siri will only work if there is an internet connection. Lost Mode disables Siri! This means a thief has from the time they pilfer your phone until you initiate Lost Mode to mine your sensitive information by getting Siri to spill the beans on you. If the thief disables connectivity by enabling Airplane Mode or disabling Wi-Fi or both, then Siri from the lock screen will no longer work, but your iPhone will show as offline when you try to track it. At this point, you better hope the thief hasn't taken notes. If you think your phone is just lost, you might want to give it a little time, but if you know it's been stolen and have no hope of getting it back, then you should probably wipe it remotely using Find My iPhone. Just know that if you do this, there's no hope of ever recovering your phone using the hi-tech methods currently at your disposal. Unless you are in clear and present danger, the police will not track your phone or trace phone numbers coming from people claiming to have your phone. (I asked when I filed the police report.) They will assist you to go retrieve the phone and it is ok to call 911 for that reason. I prefer to hold out hope and try to ping it every so often in hopes it will come back online at some point. Maybe, just maybe the message will get across while I'm obsessing over something else in life. So, of course, the answer for now is to just disable all of this stuff from showing up on your lock screen or from being accessible from Notification Center or Control Center or Siri while locked. And welcome back to iOS version 6 something or other. If you do choose to keep these features enabled for convenience, then you had better be the type of person who treats their iPhone as an appendage and never leave it out of your sight. Only you can decide where that balance between convenience and security lies and I hope my experience, time and report here helps you make a more informed decision. One more tip and surprise, surprise, it's something low-tech. Get or borrow a label maker and label your devices — all of them! Of course it probably won't do much good to put your cell phone number on your iPhone's label if you lose it since you won't be able to answer it right away! Put a different phone number on that label, like your spouse's mobile or your landline or even a Google Voice number that will ring or text your replacement cell or that of a friend you trust. This way, if a good samaritan finds your dead iPhone months later, they can call you or text you on a number where you can be reached. I think cell phones are best because they can receive a text in case it's someone who can't figure out that they need to tap the green number on the screen. Here's a label maker I love. You can get thin, transparent tape for it and it looks really nice on along the side of your iPhone or on the back of your iPad — almost as good as an engraving. You could even put it on the side that has the SIM card port to deter a thief from removing it. I chose to put mine along the side with the volume buttons in hopes someone will see it there. I keep a transparent case on my phone, so this is visible through it, but I removed it here for the photo to give you a better idea. The labels are pretty strong and hard to peel off. Do yourself a favor: stalk yourself! To test all of this, I simulated different scenarios with and without connectivity. I disabled my home router and enabled Airplane Mode. I was able to play around with the features in the lock screen before putting the phone into Lost Mode then I could see what would happen and what wouldn't. I encourage you to do the same with your own phone. Test out these features now so that if it ever happens to you, you'll be better prepared. I Am Crazy Calendar Lady!